E-commerce is usually concerned with buying and selling over the Internet, or conducting any transaction involving the transfer of ownership and rights to use goods or services through a computer-mediated network.. The trend of online shopping or purchasing is on topas per the current market scenario cause of the rapid improvement in technologyand user’s demand and being extremely popular day by day. A user can buy required things just clicking the mouse. The most important part of E-commerce is the website, what’s your look and usability. E-commerce refers the use of electronic communications and digital information processing technology changes accordingly into business transactions to create new redefine relationships for value creation of a product or a brand among the targeted audiences or organizations. Our main expertise to make the e-commerce portals. We blend innovative designs and techniquesand give shape into anexcellent and user friendly E-commerce website in such a way that it can stand out from other portals in this competitive market. We develop state of the art E-commerce website for all kind of businesses. We make user friendly portalsso that marketers can enhance and secure the features and functionalities of their products for expanding the business growth. We make the right path to lead and create new move foran E-Commerce Business. E-Commerce Web development is not only the compelling e-commerce or content management system. 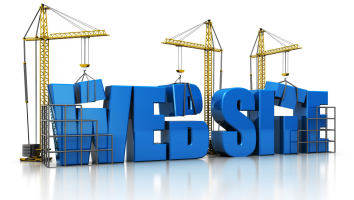 We are UrlArts and provide best services that enable you to handle a website so quickly and easily. We use multiple platform to develop a perfect E-Commerce portal that meet to our customer’s desires. E-commerce refers to a wide range of online shopping or purchasing of services or products. E-Commerce allowsto pertain any kind of business transaction in which the marketers interact to customers according to their searches and requirement. It’s so fast, time saving cause of having electronical way rather than by physical exchanges or direct physical contact. E-commerce draws on technologies such as mobile commerce, Product management, Internet marketing, electronic funds transfer, supply chain management, online transaction processing and electronic data interchange and inventory management systems. Online shopping is a form of e-commerce which allows clients to directly buy goods or services from a seller by using a web browser.